I have a confession to make. 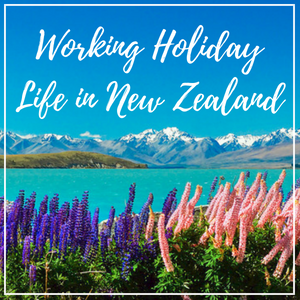 When it finally became clear to us that we were really going to Europe, what scared me most—aside from fitting all my belongings in a single hand-carry—was parting ways with rice for 12 days! Filipinos are notorious for devouring rice in every meal. 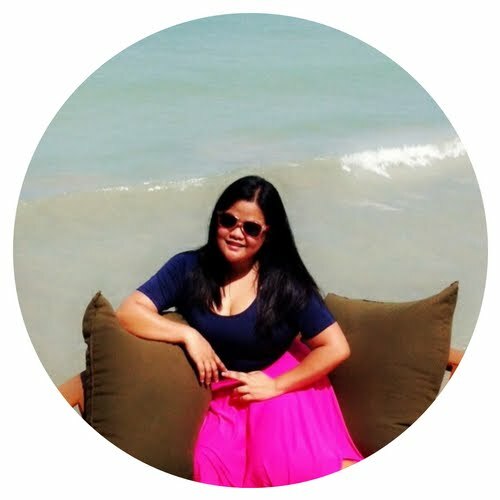 We just cannot survive without rice—if you know me, you know that this is certainly true for me! And so, even if I was fulfilling the greatest trip of my life, European cuisine just didn’t appeal to me. Cheese? Sausage? Come on, give me some rice! But all my fears about missing rice flew out of the window when we finally set foot in Vienna. 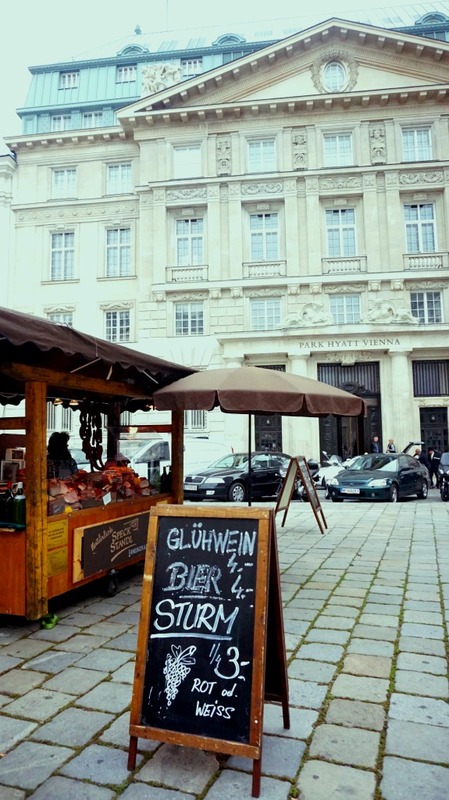 Right outside our hotel’s doorstep was a food market teeming with all the wonders of Viennese and European cuisine. 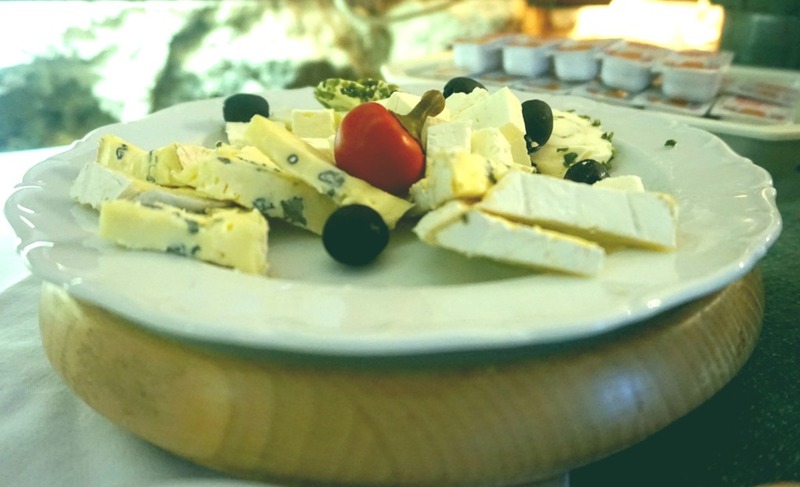 There were sourdough breads, croissant, all kinds of cheese, sausages, cold cuts, pastries, hot wine… Just catching a whiff of their buttery and savory scents was enough to make me almost forget about rice (take note, ALMOST!). 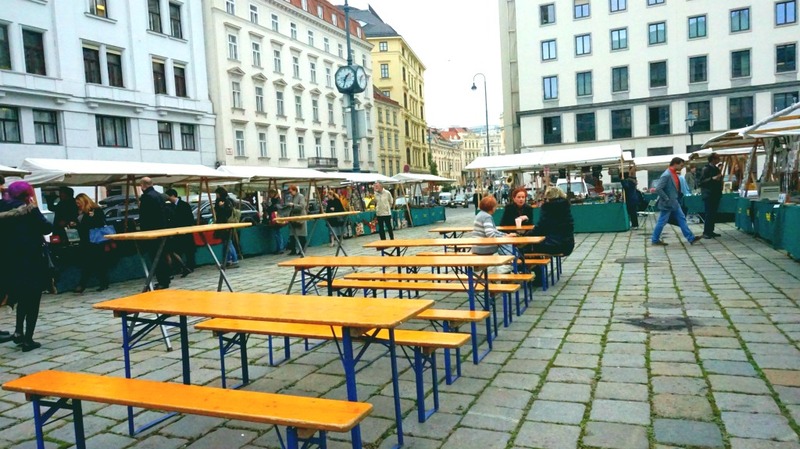 There’s a strong food scene in Vienna that’s just hard to resist. 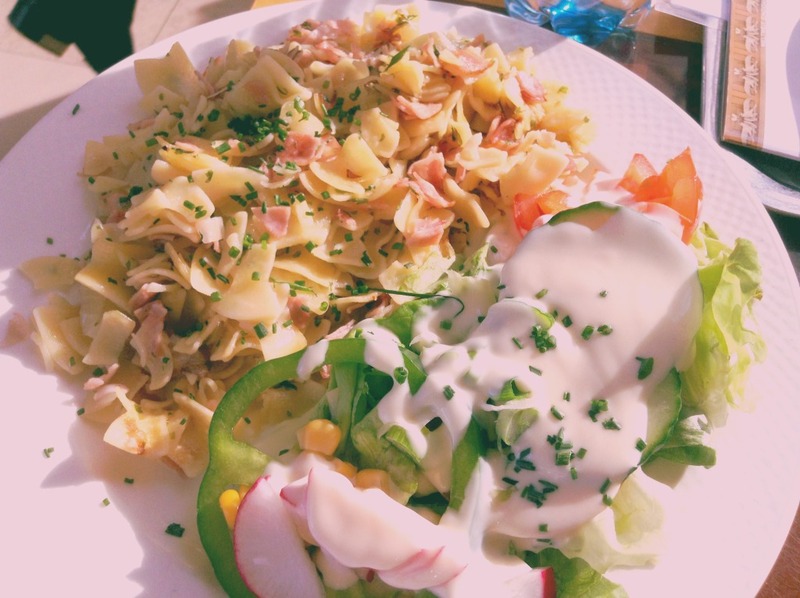 It will make your belly grumble even if you have just eaten minutes ago; the assortment of gastronomical choices will make you salivate like a hound that has not been fed for weeks. The city’s roads of pretty prefectures are punctuated by cafes, restaurants, and outdoor food markets offering a wide array of cuisines. Here are some of those we were able to try during our 2-day stay. 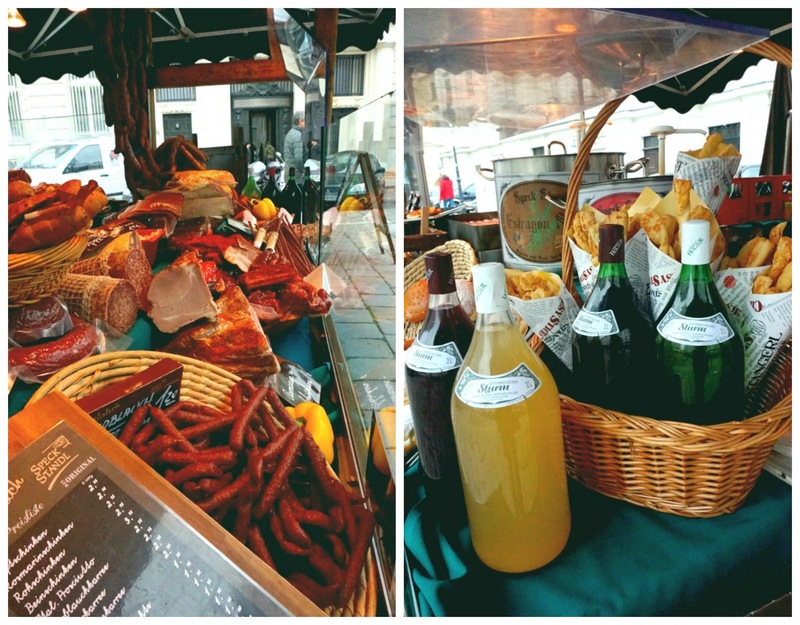 We stayed at a lovely hotel set in a Benedictine monastery and we were quite lucky to have nearby food markets. One was even right by the doorstep of our hotel. 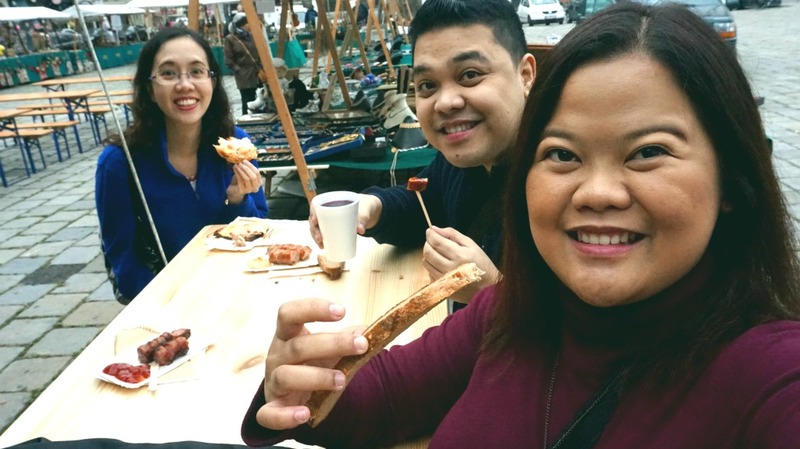 We had our first legitimate meal in Europe in an outdoor food market just a block away from Benediktushaus where we were staying. 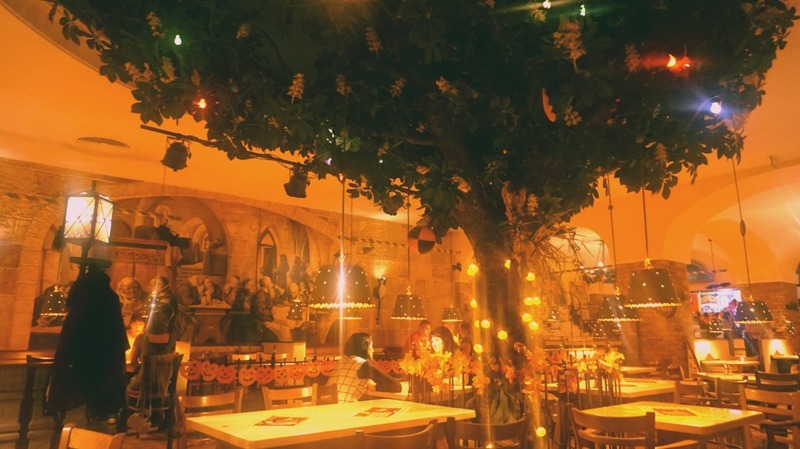 We tried the Gluhwein and loved it! That meal was a total hit! 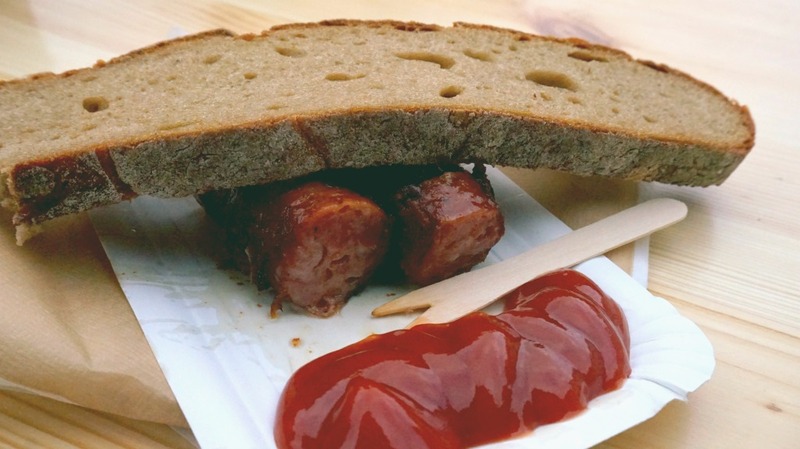 We shared a cup of hot Gluhwein wine (mulled wine with a mixture of red wine, cinnamon sticks, sugar, oranges and cloves) (3 euros), a Frankfurter (2 euros), a Käsekrainer (sausage with cheese) (2.25 euros), and a few slices of sourdough bread (free with the sausages). 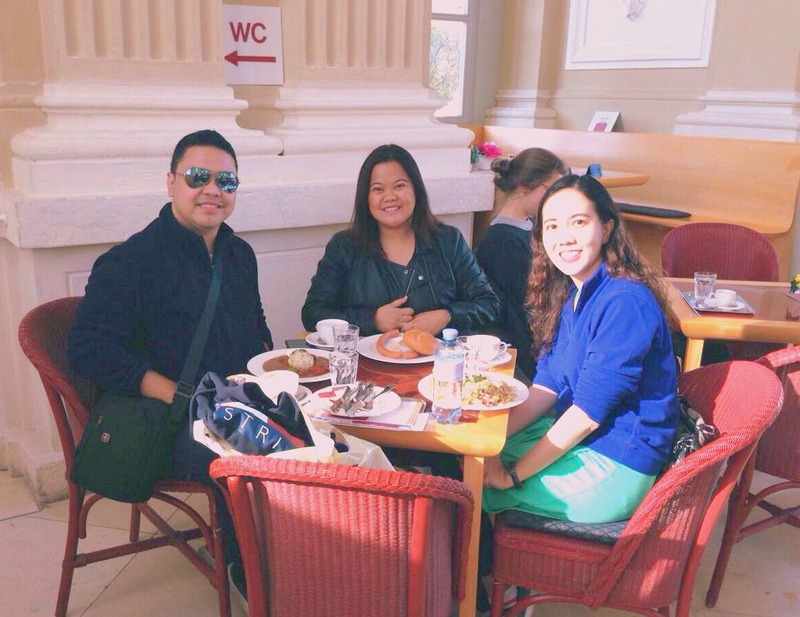 Team #Europamore's first legit Viennese meal! 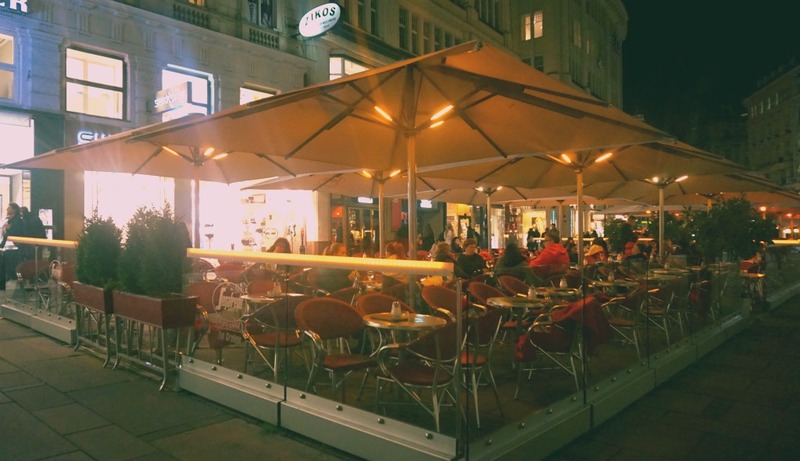 For those who are coming into Austria for an authentic Viennese Coffee House culture experience, Café Griendsteidl is the perfect place to start. 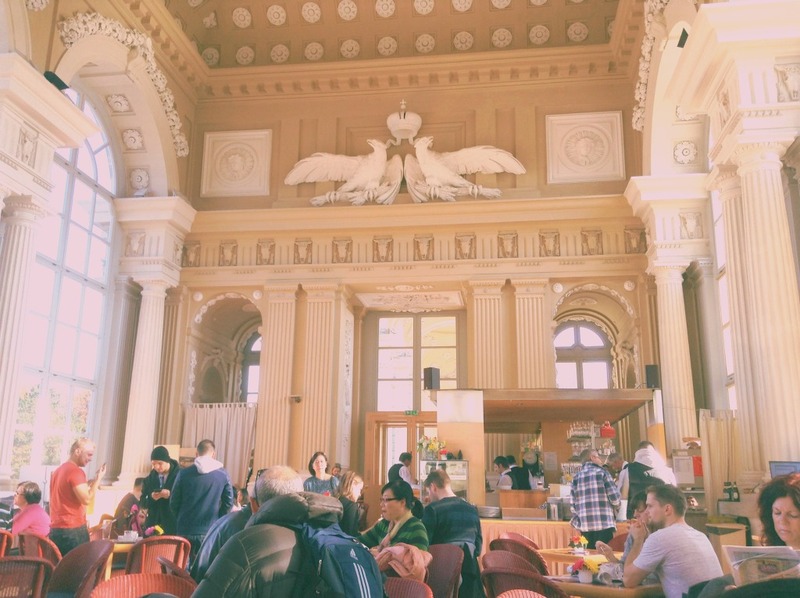 A truly historic establishment, Café Griendsteidl is one of the pillars of the Viennesse Coffee House culture, having been opened in 1847 and operated until 1897 by Heinrich Griensteidl, a former pharmacist. 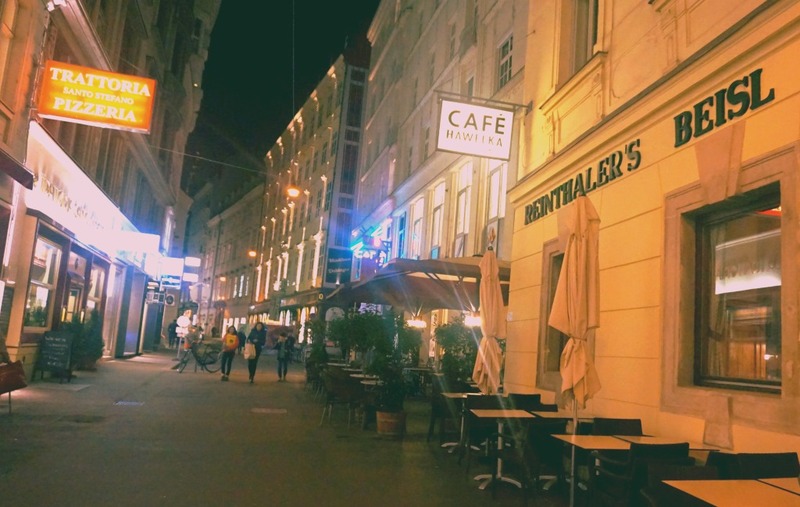 Artists, writers, and intellectuals such as Hugo Wolf, Stefan Zweig, Arthur Schnitzler, Arnold Schoenberg used to frequent the cafe in the beginning of the 20th century. The original building and café were demolished in 1897 to give way for a new building named Palais Herberstein where the new Café Griendsteidl was reopened in 1990. Love how cozy this cafe is! 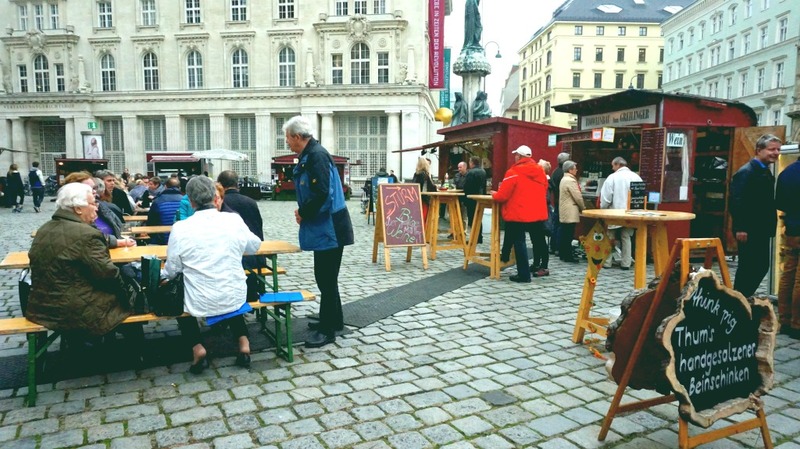 Today, Griendsteidl enjoys a premium location at the MichaelerPlatz, fronting the Sisi Museum of the Hofburg Palace. 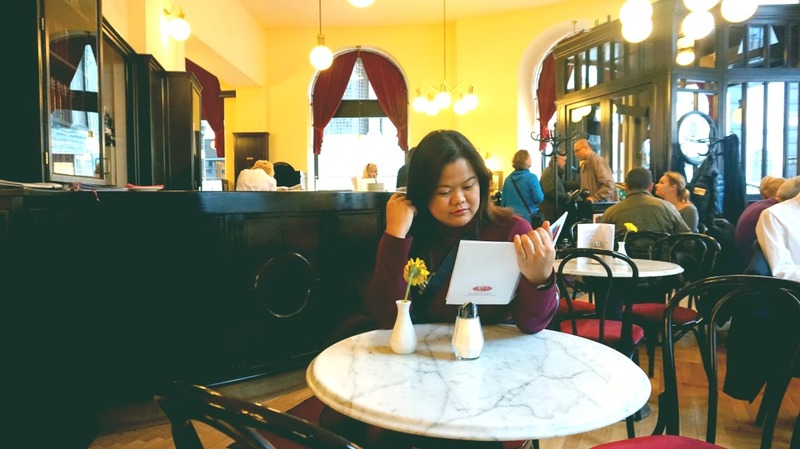 It’s a truly classic Viennese Kaffeehaus in all sense—strong coffee, relaxing ambiance, and a great selection of sweet and savory pastries and dishes. We went at around 3:00 PM after touring the Hofburg Palace, the Parliament Building and the Rathaus. Upon arrival, we were immediately seated and given the menu. 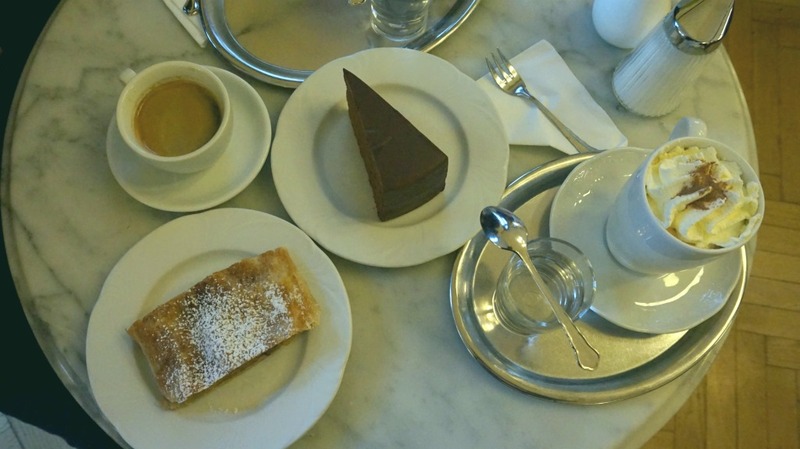 We ordered their sachertorte—a Viennese chocolate cake, the café’s famed apple strudel, coffee mélange, and hot chocolate. Everything was delicious and satisfactory. This timeless establishment really did deliver. On top of that, its Art Nouveau-Art Deco transitional style made the experience even more lavish, without digging a hole in our pockets. And oh, the wait staff is impeccable in their black suits and bow tie! 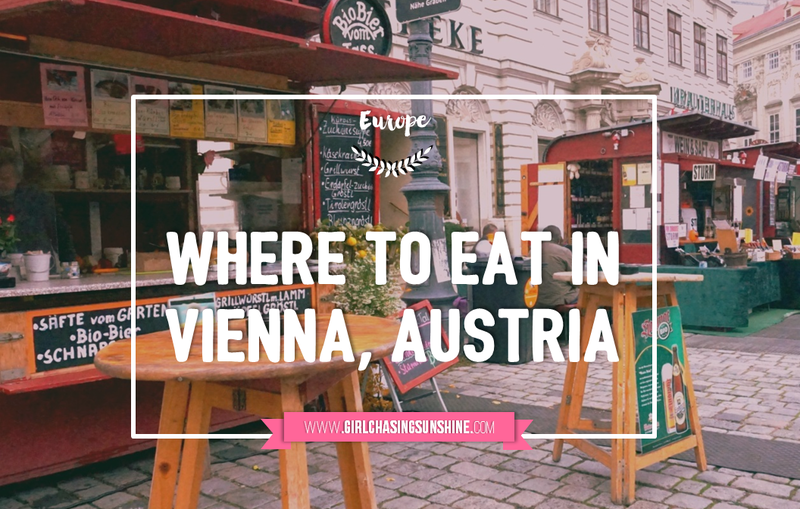 As in most Viennese cafes and restaurants, a tip is expected. 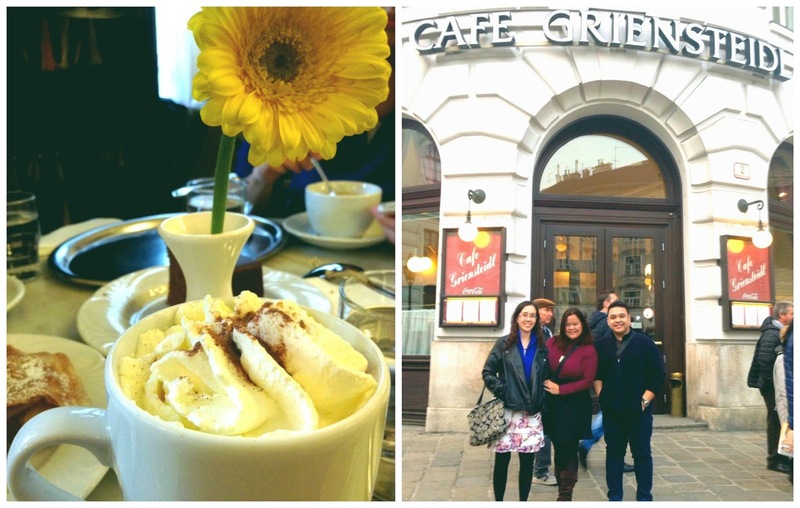 What a lovely Viennese Coffee House experience! We are thankful to have found Chatanooga while we were roaming around Graben and freezing in the dropping temperature. 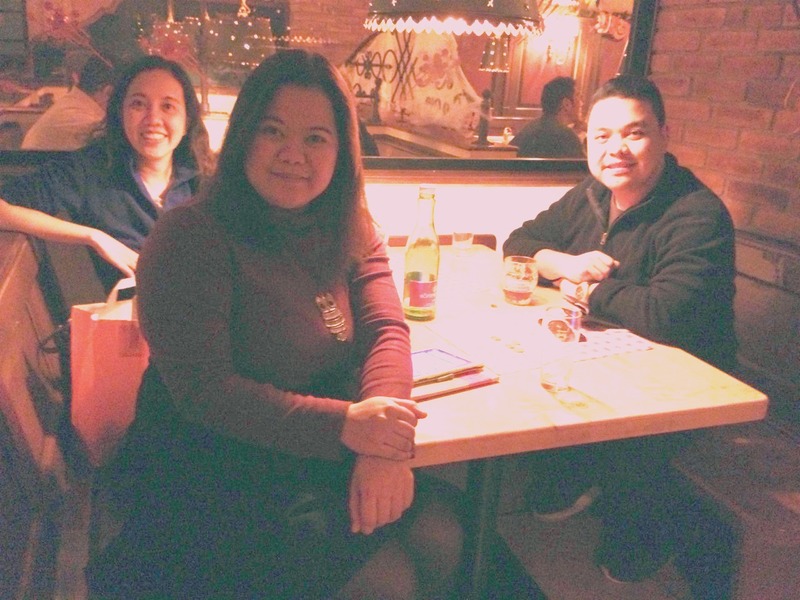 We found warmth and comfort in one of their booths at the basement dining area. There is also an available outdoor seating if you just want to relax and do people watching. 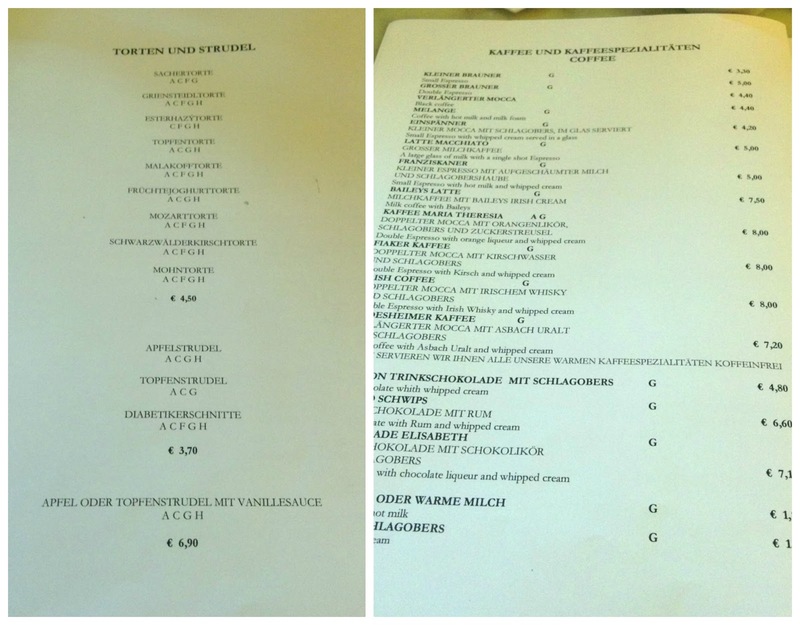 For us though, we only had one agenda that night: schnitzel (breaded and pan fried veal cutlet)! Chatanooga’s schnitzel was filling and tasty. There are fries with everything so be ready to fill those tummies. Service was also friendly and fast. 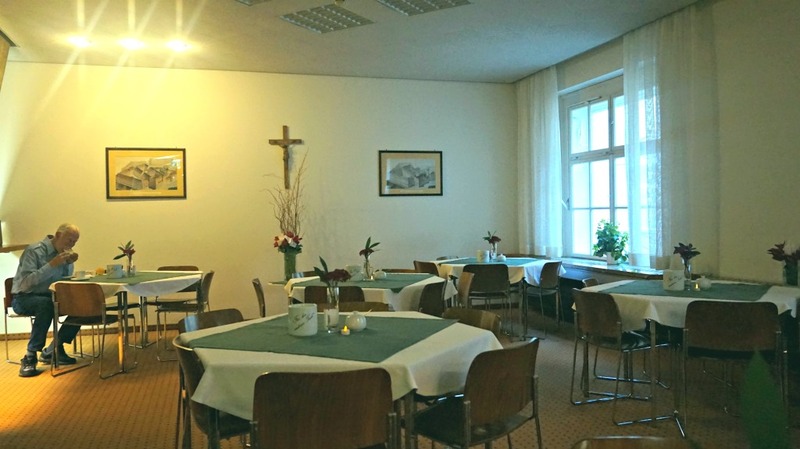 The restaurant is also just a few steps from Stephenplatz. Bonus point! 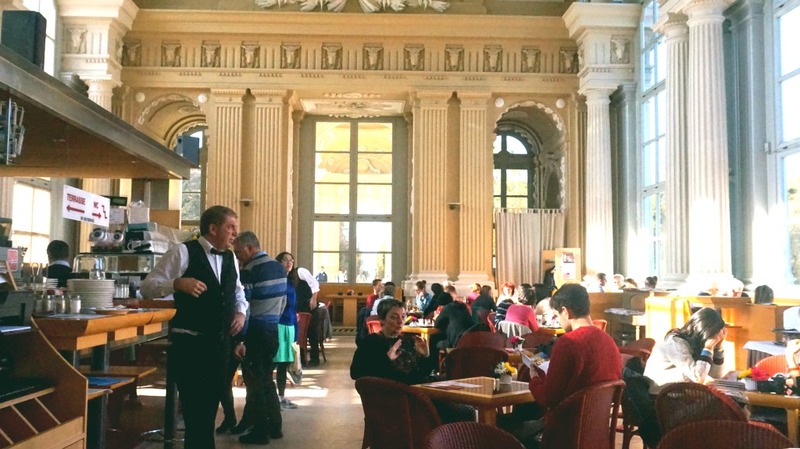 If you want to have a meal fit for a king or a queen, or rather an emperor, Café Gloriette at the Schonbrunn Palace can provide just that. 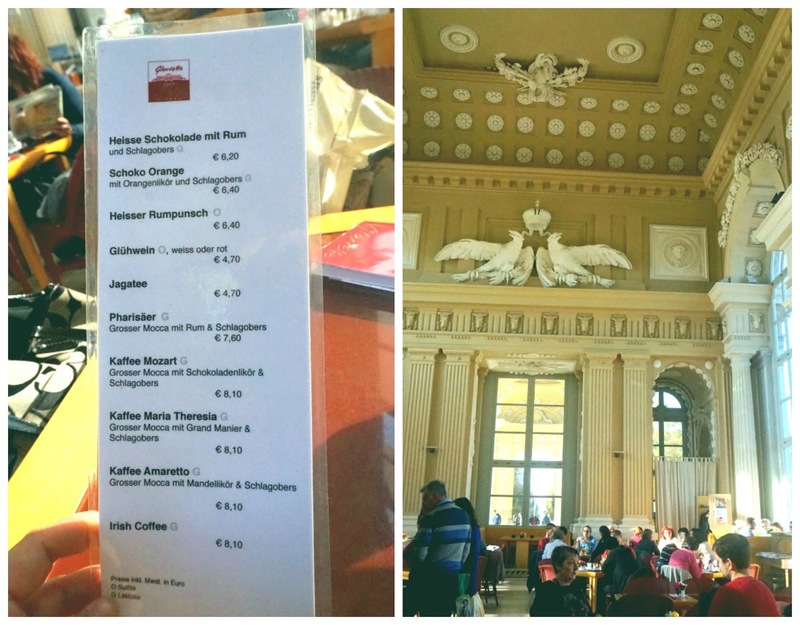 Perched on top of a hill overlooking Schönbrunn Palace, dining at Café Gloriette is a unique experience. Emperor Franz Joseph I used it as his breakfast room so it’s only appropriate that today, Café Gloriette is housed in the same structure. 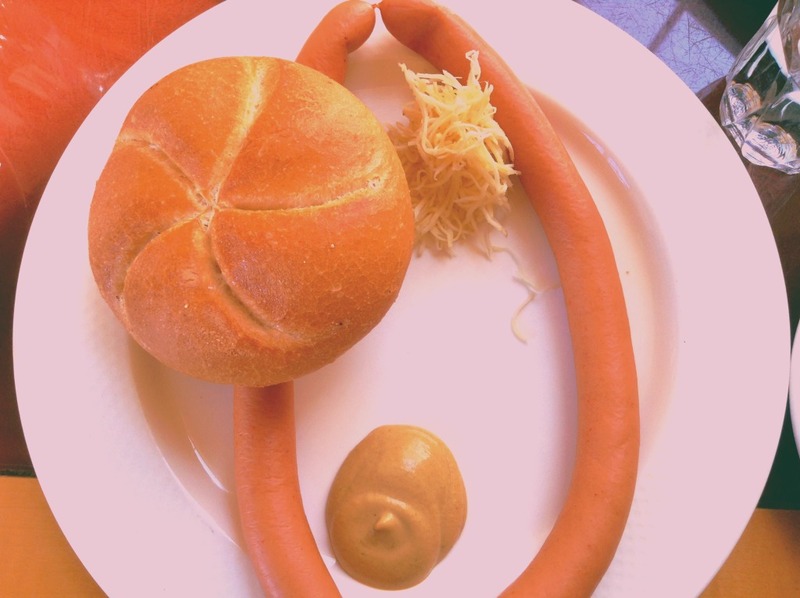 I ordered the Frankfurter, which came with bread and shredded radish as a side dish. R ordered some sort of pasta with salad and I can’t remember what B ordered but we all had coffee to go with our lunch. 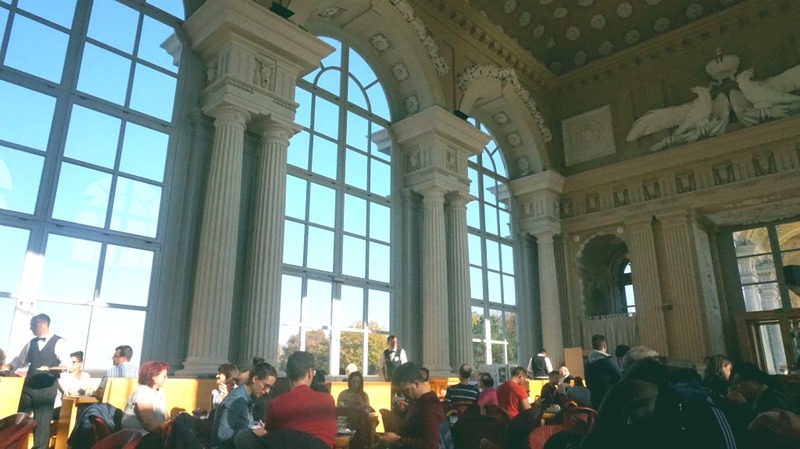 Admittedly, the food is forgettable but the view and the imperial architecture more than made up for it. Benediktushaus was our home of choice in Vienna and where we had our breakfast on our last day in the city. 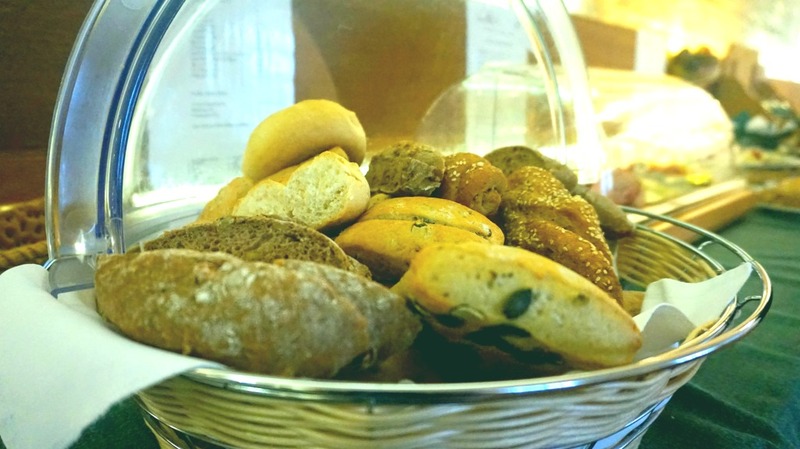 And it truly felt like home for its generous breakfast spread and selection. The dining hall was quiet when we went down and we were immediately assisted by the lovely dining staff that reminded me of my grandmother. 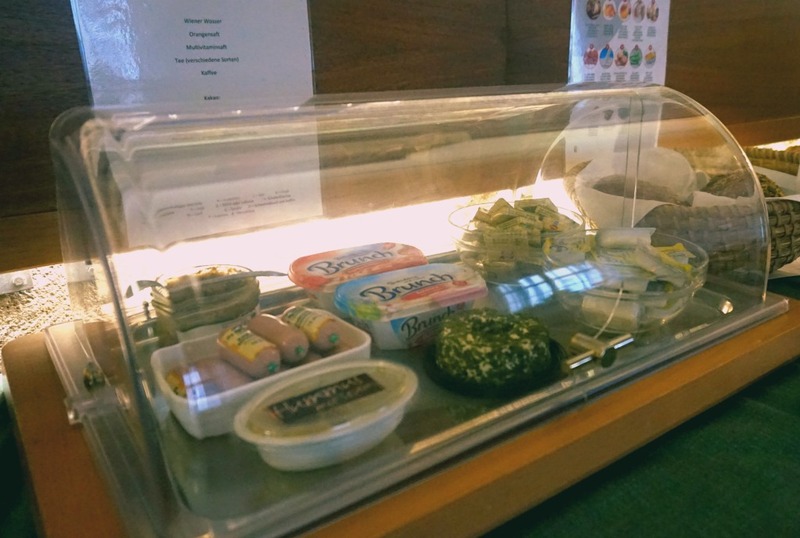 There were different kinds of sausages, cold cuts, cheese, prosciutto, and drinks. For dessert, I sneaked in a handful of bite-size Ritter Sports. 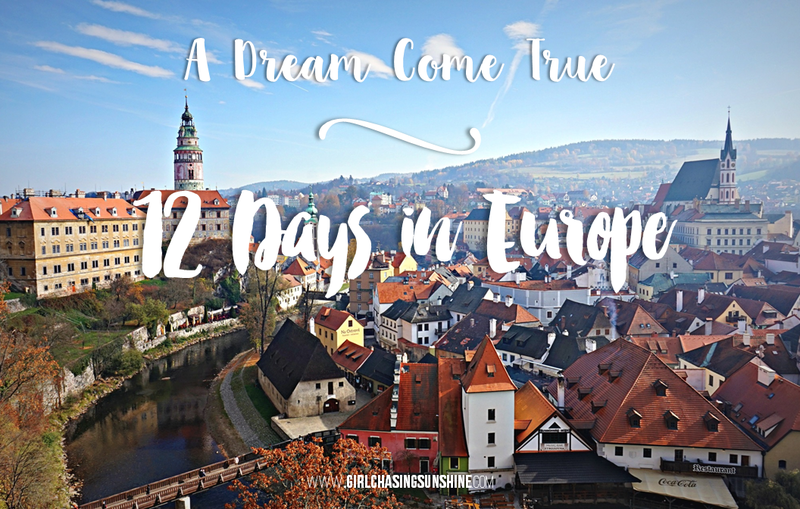 I didn’t want to leave Benediktushaus after that meal but of course, we had to check out and move on to our next destination: Prague, Czech Republic! Free if you are staying! It was late winter when I went to Vienna so I didn't get to see the Palace open up for tourists. Waah. Hope I can go back!